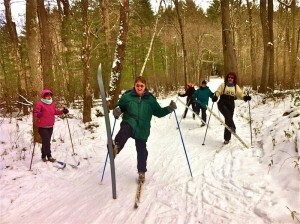 There are many options for outdoor recreation on the White Memorial Foundation’s 4,000 acres and 35 miles of trails. 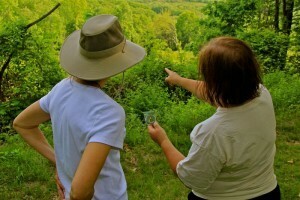 The grounds are open seven days a week and no fee is charged for use of the trails. Electric bicycles (ebikes) are only allowed on roads open to motorized vehicles. 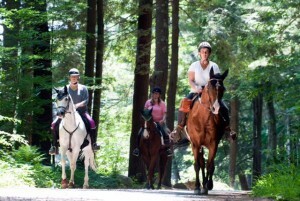 There are no single-track bike trails; please observe “No Horses/No Bikes” signs on hiking trails. Travel at slow to moderate speeds and warn people of your approach, particularly horseback riders. Stay on roads and designated trails. 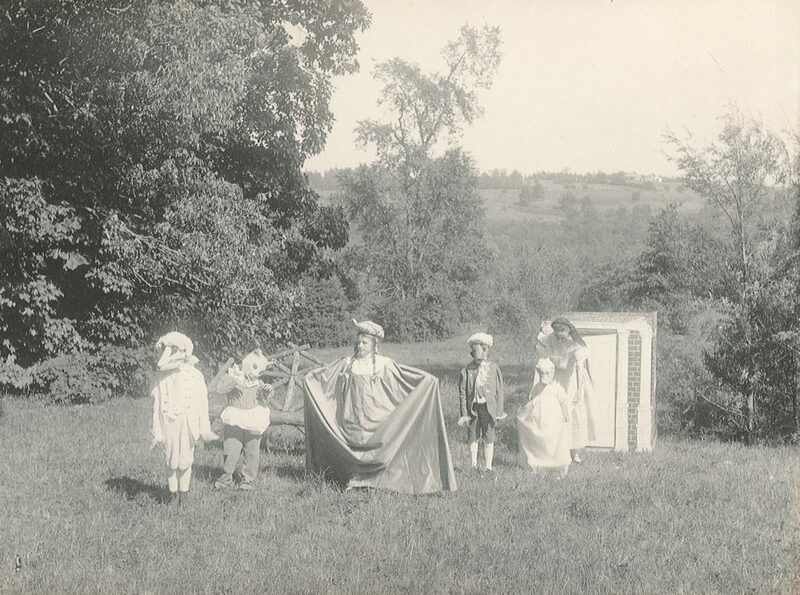 Do not ride on fields, lawns or in the woods. 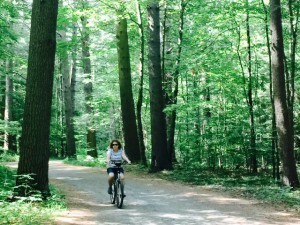 Follow all State of Connecticut regulations concerning bicycle use. All group bicycle riding on the property requires a group leader and prior registration by contacting the office at (860) 567-0857 for necessary registration forms. Bike races are not allowed on the property. 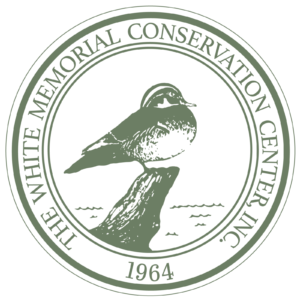 White Memorial is the largest wildlife refuge in CT. 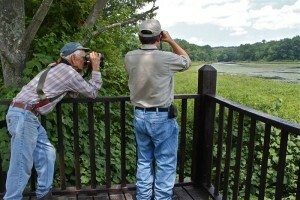 Birds and other wildlife abound in a diversity of habitats from wetlands to conifer forests to grasslands. A bird checklist is available at the Museum. You can also find an online version here. There is a bird feeding station and observatory located behind the Museum. Other wildlife checklists for White Memorial property can be found on the home page of our Research Blog. Bantam Lake and Bantam River offer fine fishing and boating opportunities. Both are accessible by White Memorial’s Point Folly Marina and Boat Launch located at 123 North Shore Road in Litchfield. 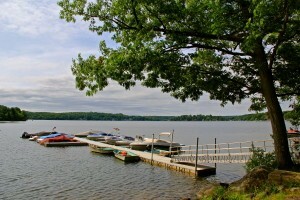 Moorings and a small number of boat slips are available for rent by calling 860-567-0857. Motor boats are allowed on Bantam Lake, however no internal combustion engines are allowed on the Bantam River. 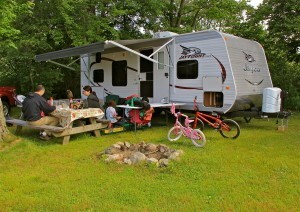 There are two family campgrounds on the property. Point Folly Family Campground is located on a peninsula in Bantam Lake, and Windmill Hill Family Campground is located in the shelter of woods off Whitehall Rd. Both campsites require advance registration and a fee. There are also two Pine Grove Group Campgrounds available near the Main Area. These sites are reserved for non-profit youth groups free of charge. 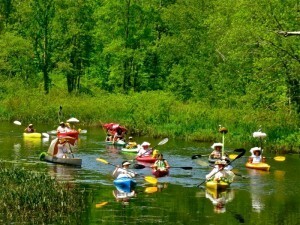 Bantam Lake and Bantam River are popular with canoers and kayakers. There is a boat launch at the Point Folly Marina with access to Bantam Lake and Bantam River. There is also limited parking access at the Whites Woods Road Bridge with access to the Bantam River. No motorized boats are allowed on the Bantam River. 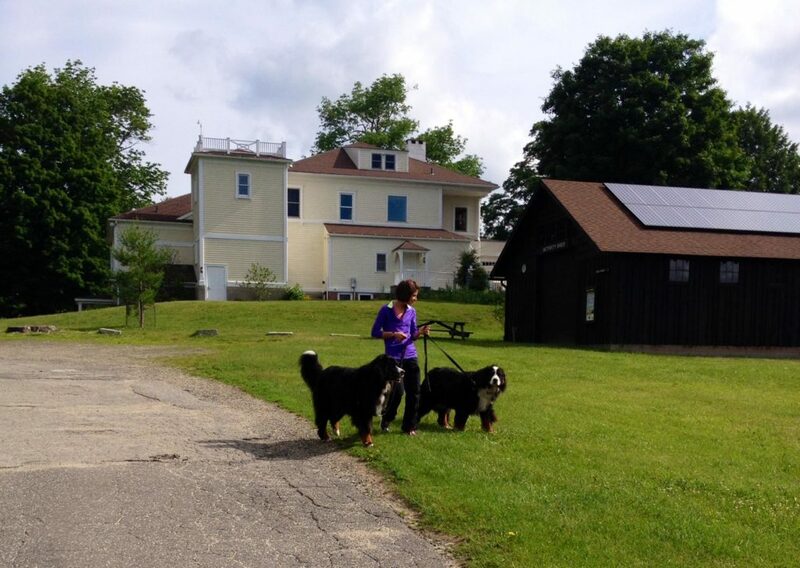 Dog-walking is a very popular activity on White Memorial property. Pets are welcome as long as they are on leashes less than 7 feet long. For the safety of your pet, other White Memorial visitors, and wildlife, your pets must remain on leashes at ALL times. Fishing is allowed everywhere (unless otherwise posted) on White Memorial’s ponds, rivers and on Bantam Lake with a valid CT fishing license. 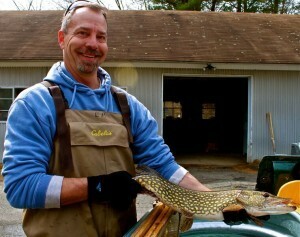 Please follow all State of CT fishing regulations. 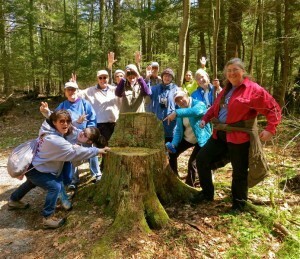 More than 35 miles of trails, through varied terrains, are open year-round for hiking. Visit the Trails page for a full map and descriptions of some of our trails, like the popular Little Pond Boardwalk Trail and the engaging Trail of the Senses. Do not park horse trailers in the Museum parking lot. Trailer parking is allowed in the Sawmill Field (refer to map). When parking anywhere else, do not block gates. Riding is allowed on designated WMF roads and other roads throughout the property as labeled on the White Memorial property map. Do not ride on foot trails, on lawns, in fields, or on White Memorial property other than the roads shown on the WMF property map unless permission has been received in writing. For the courtesy of others, as well as to lessen damage to the property, travel speed must be kept to a walking pace. It is not permitted to erect horse jumps on roads or other parts of the property. Dogs are permitted on the property, but must be on a leash at all times. Other general rules are posted at information signs. All group horseback activity on the property requires a group leader and prior registration by contacting the office at (860) 567-0857 for necessary registration forms. Numerous picnic tables are available throughout the Main Area. Both the Mott-Van Winkle Meeting Barn, a screened in pavilion, and the Activity Shed, are equipped with tables and available for rent by contacting 860-567-0857. Snowmobiles and all-terrain vehicles are not allowed on grounds. Museum restrooms are for museum visitors only. Outhouses are provided for skiers’ use (refer to map). Snowshoers and Hikers- please try to avoid walking on ski tracks.